Dan Romero, one of crypto exchange Coinbase’s senior executives and early employees, is leaving the company. Coinbase is losing its vice president of international business at a critical time when some of its top executives already parted ways with the US largest cryptocurrency exchange. Romero, who led the institution-focused section of the firm’s operations across the UK, Europe, and APAC regions, made the information public on a Medium blog, confirming his resignation after nearly five years with Coinbase. According to his LinkedIn profile, Dan joined Coinbase in April 2014, when it was only 20 people and leaves as the exchange is currently employing over 700 members of staff. Before that, he held positions at Envoy Inc. as business development executive and also a senior associate consultant with Bain & Company. 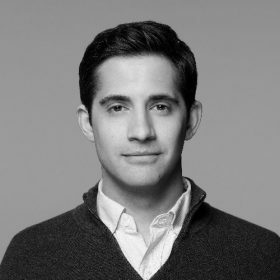 “I’ve also had the privilege to work across almost every aspect of the Coinbase business— our banking partnerships, international, and time with both our consumer and institutional businesses. Through this, I’ve come to appreciate the value in working at a mission-driven company that’s willing to focus on a long-term strategy,” Romero said. There haven’t been any comments from Coinbase itself, but the timing is pivotal for the San Francisco startup which works hard to bring in top institutional investors, a mission that Romero had been tasked with overseas. The company has overhauled its senior ranks in recent months after allegations of insider trades ahead of bitcoin cash launch on its platform triggered a wave of hiring and departures, as well as a review of listing practices. Romero’s departure also comes on the heels of Coinbase’s director of institutional sales, Christine Sandler, leaving the San Francisco startup to join Fidelity Investments. Adam White, the fifth employee of Coinbase, joining the firm in 2013, also departed in October and instead landed at ICE-backed cryptocurrency exchange, Bakkt. Coinbase’s policy officer, Michael Lempres, also resigned in October from his newly-created role and parted ways with the company after two years. Lempres saw his responsibilities dwindle after Coinbase brought in former chief compliance officer of a BNY Mellon subsidiary, Jeff Horowitz.